I live only down the street and around the corner from where I grew up. I lived on the same street for 24 years of my life. 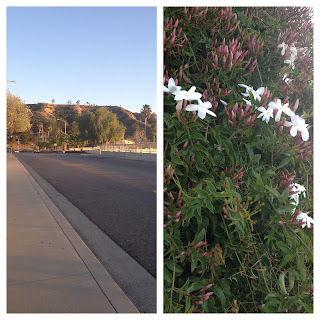 I cannot count how many times I've walk to school on that road or how many times I've gone on a run down that street, but tonight I walked down that street again, but this time, despite the familiar smell of jasmine, things were much different. This time I had Hudson. As I walked that street, I couldn't help but feel wonder at how my life has turned out so beautifully and how all my life's roads have led to me having and loving Hudson.